Neal's Yard Remedies are a company I have had some experience with in the past, I have been into my local shop a couple of times and always been super impressed with the ever growing product range and the array of services they offer in store. But until the event they held last night I hadn't really gotten to know the history behind the company or really taken time to take a look at some of their best selling products that I have heard a lot about. I headed along for an evening of cheese, wine and learning more about the brand- and it was such a lovely night! All the girls were incredibly welcoming and so knowledgeable about the products on offer. If there is one thing that will always win me over, it is seeing a team that are incredibly passionate about not only what they are selling, but the history and ingredients within the products and a dedication to peoples wellbeing on a whole. The Neals Yard team have this in spades, they really got me excited over their collection and what it can do for a whole list of issues- there is pretty much nothing you could go in there with that they couldn't offer some form of help for! The product I am most excited by is the Beauty Sleep Concentrate- any product that contains the word sleep seems to attract me! Described as a luxurious, lightweight and easily absorbed treatment to support your skin’s natural night time regeneration while reducing the appearance of fine lines and wrinkles – the beauty sleep concentrate has won a beauty insiders’ choice award this year and it is no surprise it is one of NYR most popular products. This has gone in straight to the top on my lust list! 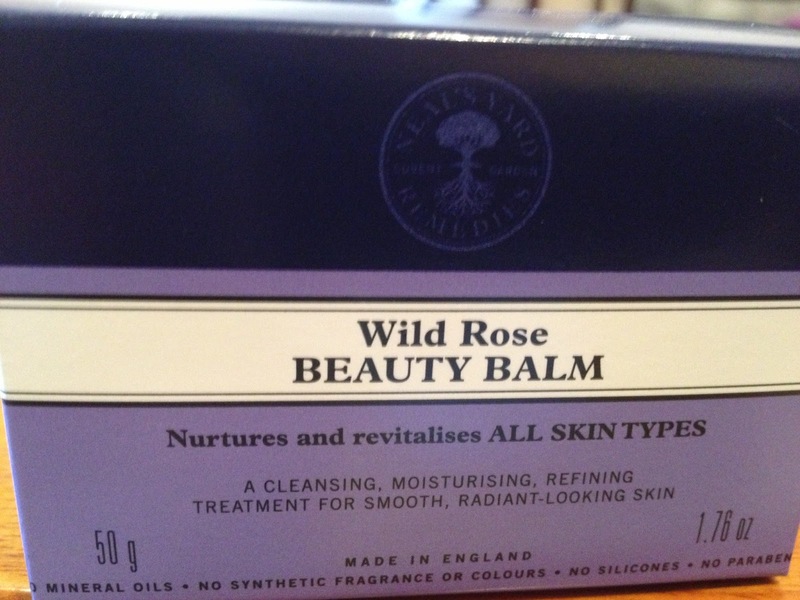 Another best selling product is the Wild Rose Beauty Balm and I was lucky enough to receive one in my goody bag to try out and I cannot wait! Winner of a Green Beauty Bible award this balm can be used as a rich cleanser , gentle exfoliant or deeply nourishing balm and all the staff were raving about it last night and all the different ways they use it- I do love a good multi purpose product! Neal's Yard have just recently launched their own make up line as well which I can see being a big success, with prices from £12.50 for a pressed eye shadow to £22.50 for their mineral foundation- the products come in lovely natural shades and are beautiful quality and well worth checking out. I am really glad I got the opportunity to chat to the staff and hear some of the stories behind the products and of the company itself- it was a great eye opener to this natural brand and definately got me thinking about some of the ingredients I usually slap on my face in some of my high street products. Alongside their products the stores have treatment rooms that offer a huge array of services from sports massage to aromatherapy. I got a taster of the Indian head massage and it was AMAZING, I definately want to get booked in for the whole experience soon, I don't think I have ever slept as well! Thanks so much to the whole team for putting on such a wonderful evening for us. Thanks so much for coming last night and for such a lovely blog post. It was great to meet you - let's keep in touch! Very nice. I'm also into natural brands these days.